The Oval’s symmetrical shape prevents gear bunching up when racked, while it's Keylock nose prevents gear snagging when being removed from the carabiner. The Oval also works well in rigging. Round baskets let attachments self-centre, allowing the carabiner to slide - rather than jump - into position when loaded. The basket shapes are compatible with devices such as pulleys and modern assisted breaking belay devices. Solid gates are robust and have positive handling characteristics. Grooves in the gate give extra grip, increasing control when making tricky clips. Solid gate carabiners are suited to sport climbing, where ease of handling and resistance to wear are more important than low weight. 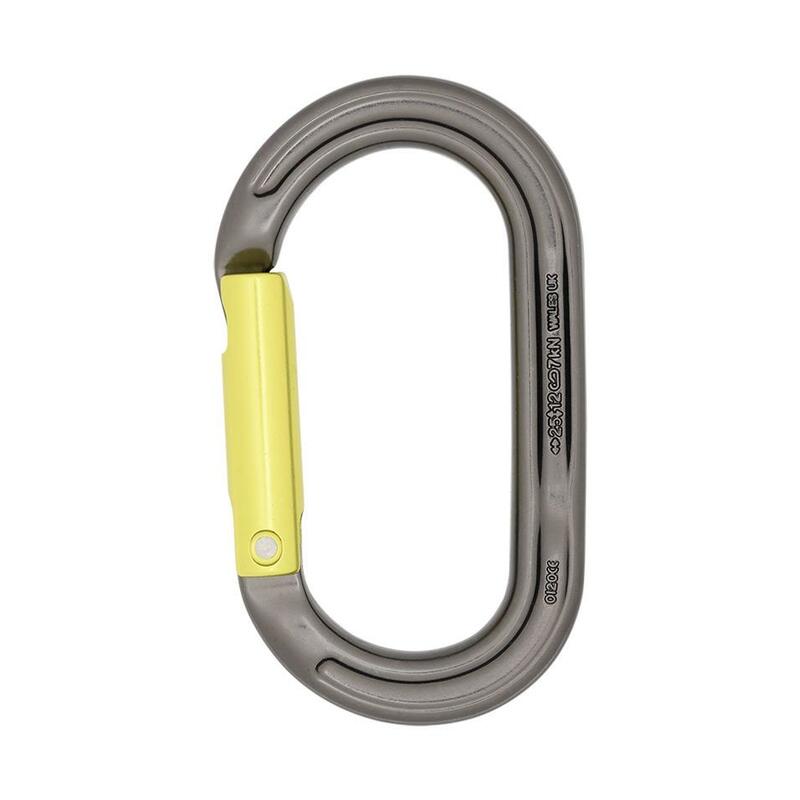 This carabiner's nose slots into a groove in the gate, allowing it to achieve full strength without a gate notch. This creates a clean internal profile that won't catch on gear, bolts or slings, giving easier clipping and stripping of routes.